Can a startup be worth more than twenty billion dollars? Can two brothers from a small Irish village who barely finished their studies, start a company that will attract multimillion investments? Can a new payment system almost instantly become the largest player in the market, but still claim to be just at the beginning of the journey after nine years of success? The answer to all these questions is: “Yes, it’s about Stripe”. Stripe is aimed at merchants and business owners, they are the main customers of this payment system, while PayPal is a solution for everyone. The Collison brothers’ payment system is designed to become a perfect online intermediary between customer cards and merchant accounts. PayPal is ubiquitous and is present in more than two hundred countries, Stripe has a poorer figure — only 32 countries. According to Wikipedia, Dromineer is a village in Ireland with a population of 118 people. How many tiny settlements of such a kind are there in the world? However, this part of Ireland is known far more widely thanks to two billionaire brothers born here. Patrick, the eldest of the brothers, was born in 1988 and at the age of ten began to study programming. When he turned 16, he won the annual scientific competition of schoolchildren, which was held by the charitable organization Royal Dublin Society, and received the first prize for developing a programming language based on another language — LISP. John is two years younger than Patrick, but he and his brother participated in all joint entrepreneurial initiatives. The first one was Shuppa. Later it merged with another startup and got the name Auctomatic. John plays the piano, is fond of aeroplanes and has a pilot ID. The first company of brothers specialized in developing software for Ebay sellers and, while being based in Ireland, it did not receive much funding from local investors. The Collison brothers moved the company overseas to Silicon Valley in search for a different financial climate and investment culture. The new company, Auctomatic, was sold by brothers to Live Current Media for five mln dollars in 2008. In 2009, the Collisons launched a solution they thought would improve the existing position in the online payment market. The payment system, which was in the minds of the brothers, was embodied in a few lines of program code in 2009. In 2010, Stripe received the first capital injection with the help of the accelerator called Y Combinator. 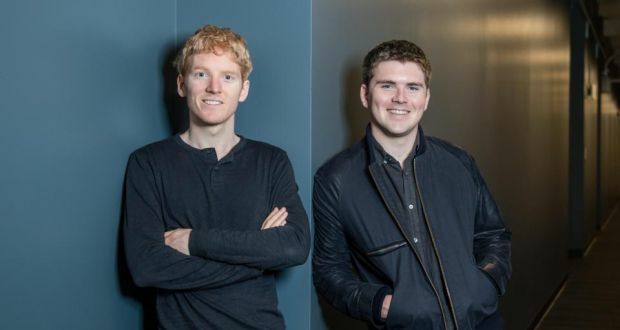 In 2011, the founders of Stripe decided to apply for funding to Peter THIEL and Elon MUSK (the founders of PayPal). “It’s a little impetuous to go to PayPal founders and say payments on the internet are totally broken,” John stated in an interview with the Wired. But despite the fears, the agreement has been reached, and Stripe received funding. Since then, Stripe has not had problems with investors and financing. Each new round increases the value of the company, and the recent influx of one hundred million dollars from Tiger Global Management has led it to a new top. Now the startup is estimated at $22.5 bln. The company has nine offices in different parts of the world, and more than one and a half thousand employees. However, it’s still in the startup stage, and the Collison brothers are not going to hold an IPO in 2019. Stripe has big plans, it is actively developing, opening new markets; summing up is a matter of the future. This was recently announced by John during a meeting with Ashley Vance from Bloomberg, which occurred at the Startup Grind Global Conference 2019. Originally we were just going to build a prototype and assumed it wouldn't be too hard. 5+ years later we are still at it — you can call it the world’s longest «yak shave». It took a little more time, but it seems that the strategy has not changed. Judging by the optimism of investors who inject capital into the payment system and increase the cost of Stripe, everything is going right. It means that Stripe will continue to expand its presence in different countries and will get much more money and will get even more worth.